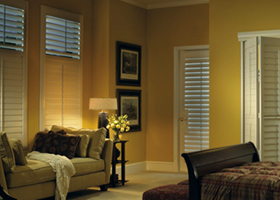 Find the highest quality shutters and shades in the area from First Class Shutters. 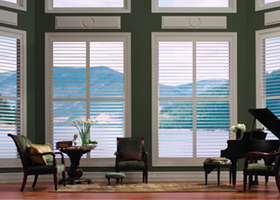 For a competitive price, we can handle interior or exterior windows, as well as windows that are unusual shapes. Because we are authorized dealers, all products are installed by our own employees, without hiring other contractors that cost more money. 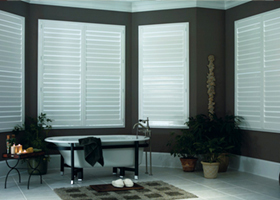 Contact First Class Shutters for a free in-home consultation and quote. 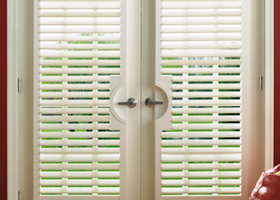 First Class Shutters specializes in custom interior shutters and window shades, with some external options available as well. Located near Kitchener, Ontario, we have been providing the community and surrounding areas with outstanding service since 1989. We only use high-quality products in all of our installations, refinishing work, and repairs. Feel free to request a consultation to find the best option for your needs.